Did you know that convenience stores—your humble 7-Elevens, your unassuming Wawas—are straight-up killing the grocery game? 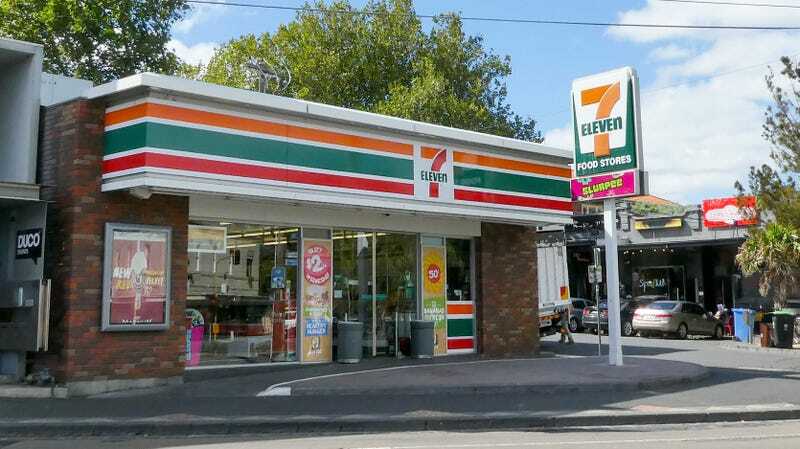 CNBC reports the convenience store industry has posted 16 straight years of record sales, according to data from the National Association Of Convenience Stores. Convenience stores are the 1990s Bulls of the food industry; Cumberland Farms and KwikTrip are dunking left and right. But what’s fueling this growth isn’t just sodas and potato chips and chewing gum. Produce now accounts for $242 million in convenience store sales, which CNBC says puts it on par with popcorn or pretzels. Consumers’ desire to buy fresher food from convenience stores could be partly a health-conscious move, like picking up a banana on a road trip instead of a bag of Fritos. Or it could speak to the trend toward lower rates of cooking at home; CNBC notes that millennials especially “prefer to grab a premade salad after work than go home, make a meal, eat alone, and clean up dishes.” (Please note the low-key jab at lonely millennials.) This desire for fast, fresh food has disproportionately benefited convenience stores over traditional groceries, the latter of which is “in trouble,” according to a dour 2018 report from McKinsey consulting firm. A combination of wanting fresh food but not cooking much has obviously been a boon to premade meals at convenience stores. Todd Hale, a retail market analyst, noted in a presentation at the National Association of Convenience Stores’s State of the Industry Summit that companies including Target, Hy-Vee, Raley’s, and even Dollar General are in various stages of planning convenience store-type expansions. New, smaller Hy-Vee stores called Fast & Fresh will offer made-to-order like wood-oven pizza, sushi, deli, and even meal kits. This isn’t an entirely novel concept. We’ve written about Japanese convenience store Lawson’s, which serves Anthony Bourdain-approved fried chicken. And the American South has a rich tradition of fresh-baked breakfasts and made-to-order gas station delicacies worthy of their own road trips. For the rest of us, though, expect convenience stores to continue offering more grocery-store staples than vending-machine snacks.